Anderson Pens' Wood Violet | Inkdependence! This purple used to be known as Scribal Workshops Nessie. I didn't try that one out, but this version is a very dark purple that shades on the right papers. I said I didn't see it below, but I just didn't look carefully enough, I suppose. It doesn't shade much. Like some of the other inks in this set, it's a bit on the dry side. It's no where near as dry as Oskosh Denim, but it's not as free-flowing as Green Bay, either. It's somewhere in between. This isn't exactly a performance problem, as it will work perfectly well in lots of pens that tend to run on the wet side. For instance, it wasn't happy in my Monteverde Artista, but it worked really well in my Delta Unica. The color is well-named, as it looks a lot like the flower of a violet, or even the underside of an African violet's leaves. 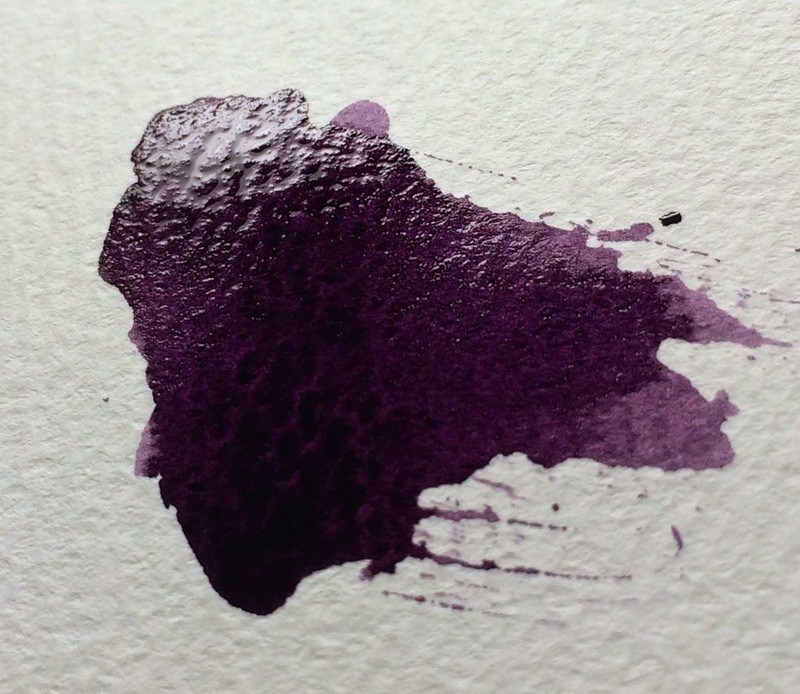 If you're into purples, and you've got a wet nib laying around, then this is an ink you'll be happy with. Sort of. There's just the barest hint of sheen in this ink where it goes down heavily. Don't think you'll see it very often, though. There's just the barest hint of pink at the top edge. The rest appears to be purple on purple. 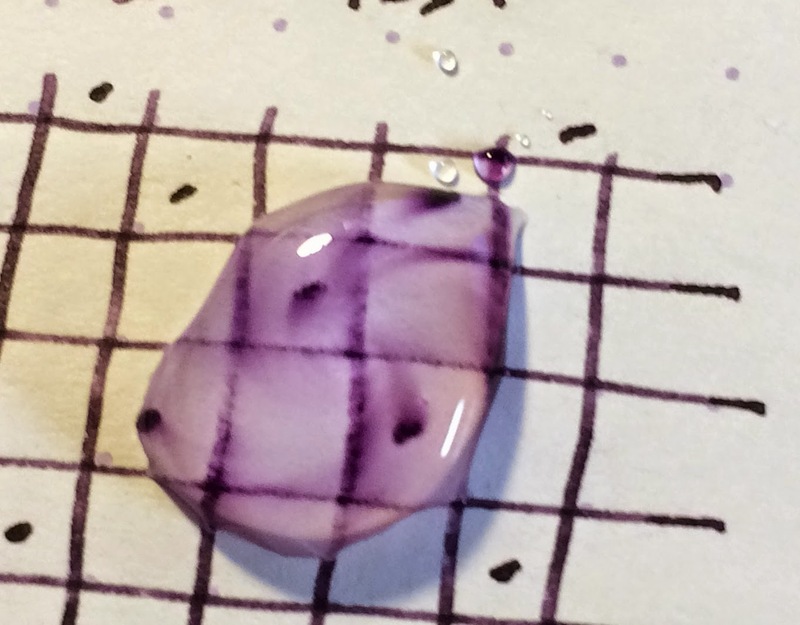 I'm not in love with this ink, but it takes a singular purple to make it into my rotation so that's not really a mark against Wood Violet. Check it out at Anderson Pens. Bottles are $12.50 for 60ml (2oz), and 3ml samples for $1.25. They appear to be out of the bottles at press time, so grab a sample for yourself.